What is Omani cuisine? And where is Oman? I’ll answer these questions in my next few posts. 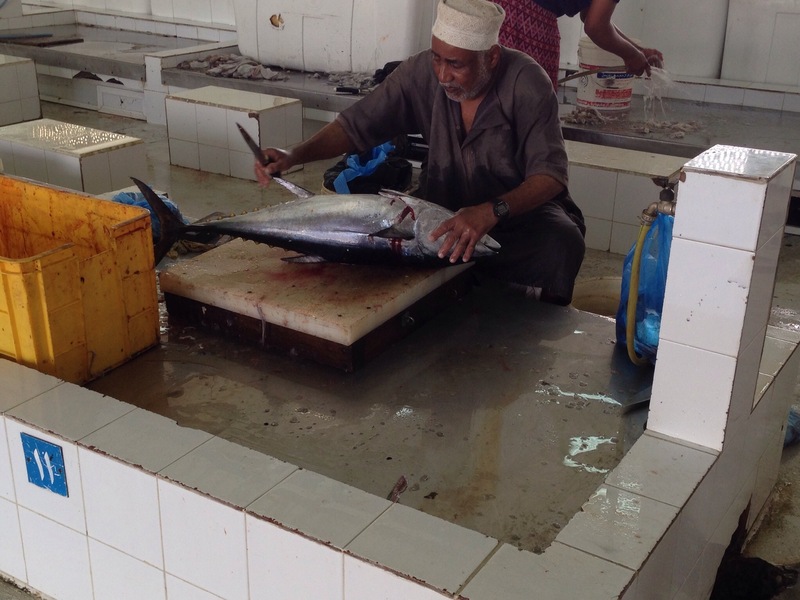 Join me on a culinary tour of the exotic Sultanate of Oman. The Middle East. When you think of the region’s cuisine, shawarma, kabobs, hummus, falafel, halva/halwa, and baklava are a few of the images that might come to mind. Those images aren’t far off, but the wide range of geography and history in the region have created unexpeected culinary diversity in each locale. A traditional Arabic mezze platter in Oman. I was fortunate enough to spend time in Oman, which is a great example of Middle Eastern culinary globalization, well before globalization became an over-used buzz word. 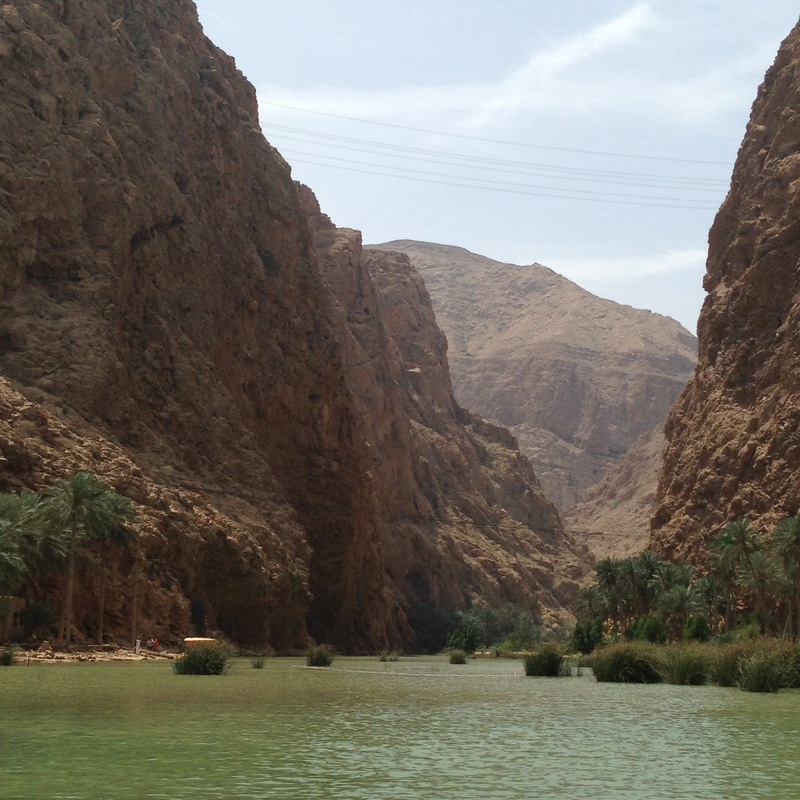 No, not to be confused with Amman, Jordan, this is Oman the country – or more accurately, the Sultanate. In Oman, the land of the Arabian nights and nomadic Bedouin tribes in the desert still exists together with a modern, globalized coastline. If you try to define Omani cuisine, one might point to “traditional” or indigenous cuisine of the Bedouins – heavy on dates and fish, such as kingfish, tuna, and snapper. But it’s not the entire picture. The Sultanate is a trading nation. It is an immigrant and expatriate nation. What that means for its cuisine is a long tradition of access to and influence by a variety of other cultures from three continents that has expanded even further in the past century. Oman is fortunate to occupy a key coastal location that situates it ideally for trade between east and west; between Africa, Europe, and South Asia. Omanis proudly share that their country’s triangular, southeast corner of the Arabian Peninsula touches three seas successively from north to south: the Persian Gulf, Gulf of Oman, and Arabian Sea. At one time in the 19th century, the Omani empire stretched from the southern island of Zanzibar, off the coast of Tanzania, and northeast to include parts of present-day Pakistan, those influences are present today in Muscat. The Omanis proudly claim that they were never truly colonized, though the Persians (Iran), Portuguese, and Ottomans might argue that point. In the early 20th century, Oman became a Protectorate of Great Britain. Today, nearly half of Omani residents are expatriates, and half of those expatriates are Indian. Pakistani, Filipino, and European immigrants (many from the British Isles) also make up large segments of the Omani population. In food terms, you see quite a bit of Indian and south Asian restaurants. Iranian and Lebanese influences show at local restaurants, many of which are labeled Lebanese restaurants (even if the food isn’t really all Lebanese). I can’t even begin to explain that one. Turkish food also is quite popular, having made inroads even in the deserts near Nizwa and southwest of Muscat – separated by mountains. A bit of home for expats shows up in chain restaurants and retail stores: French grocery powerhouse Carrefour has a presence there. British, Canadian, and American restaurant chains also reign supreme. Pizza Express, Costa Coffee, Tim Horton’s, McDonald’s, and Domino’s Pizza have multiple locations. 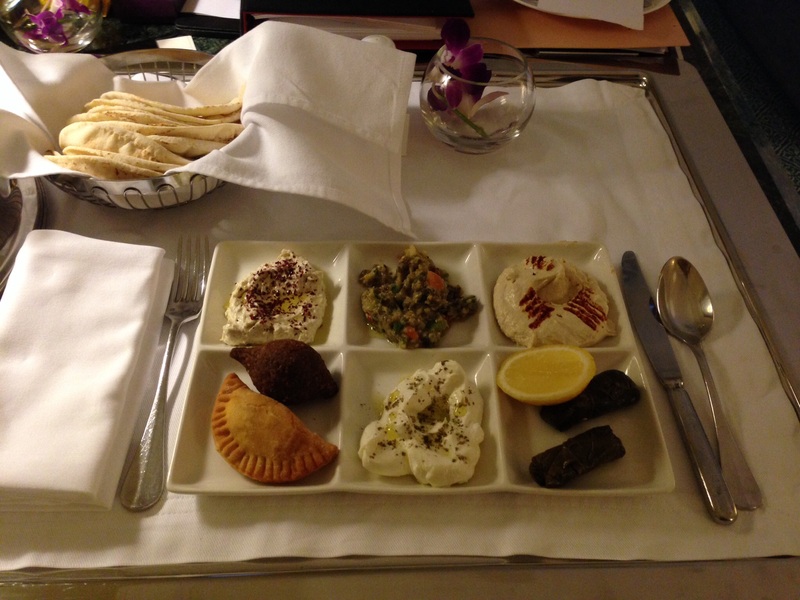 In Oman, I was in heaven with my Turkish, Indian, and Lebanese fare. I am picky with my meats, however, and I was a bit disappointed with my “local” meals in Oman – large portions and good flavors, but a few sinewy pieces of meat on the bone and overcooked or fishy fish made me wary. After seeing a fish market – below – in the heat, it also made me think twice about ordering fish. Adaptation aside, I’ll share more of the highlights from my great food adventures in Oman in upcoming posts. Stay tuned!